Carriage homes of West Des Moines is a quiet community tucked behind Hy-Vee on Mills Civic Parkway. 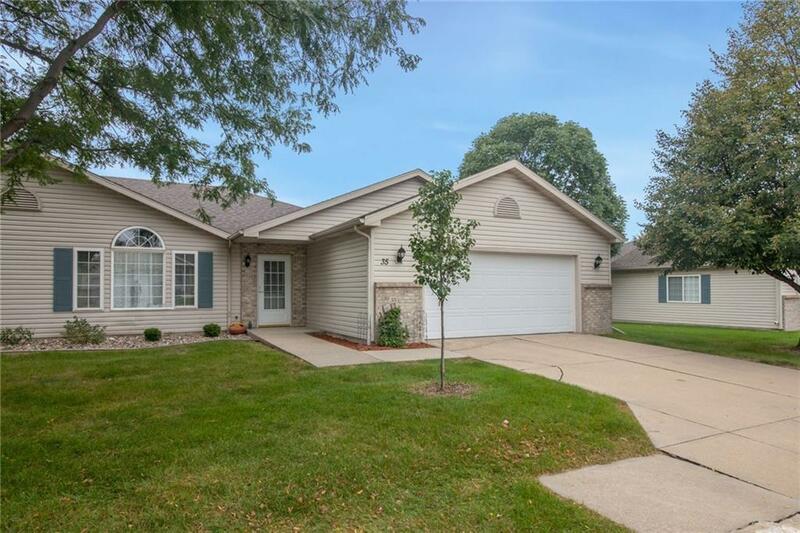 This is an ideal location minutes from shopping, West Des Moines Schools and easy access to the freeway. Home backs to a beautiful pond. This ranch style home has had one owner. The furnace and air are new July 2018. Open layout in this 2 bedroom, 2 bath, first floor laundry. Kitchen is spacious with lots of cupboards, plus two large closets for storage and pantry area. Master suite is spacious and has large windows overlooking the beautiful pond, master bath and walk in closet, second bedroom is spacious and a good sized walk in closet. Water softener will stay with the home.